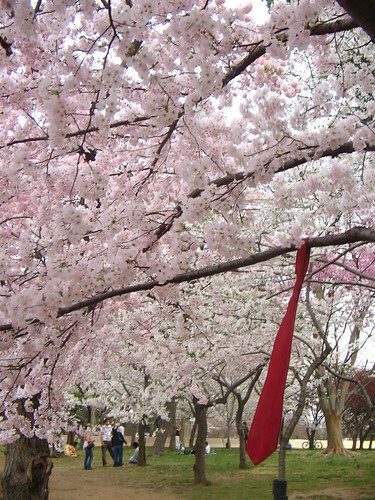 I don’t know why someone would tie his necktie to a cherry tree, but it was funny and whimsical. Cherry blossom photos here, and more to come. the tie contrasts nicely with the color of the blossoms.